Boston and Cambridge aren’t exactly known as the pizza hubs of America, but that hasn’t stopped us from ordering up slice after slice. Want thin-crust? You’ll find it. Interested in Sicilian-style? There are a few spots. You’re most likely to find New England-style pizza (we’re thinking that fluffy-crusted, deep-dish Greek-style that’s so common here), and spots that dish up greasy -- but really good -- slices at all hours… plus quite a number of thin-crust shops. Cambridge has more than a handful of more gourmet specialty spots, too; stuff with a real dedication to sustainable and local food. So what that we don’t have a style specifically named after the area, a la New Haven, Chicago, or New York? You’ll still find some seriously good pizza here, and we ranked them all, from the pretty damn great to the absolutely outstanding. Dimitrios serves up Greek and American food in the Cambridgeport area of the city. It’s definitely a locals' place, serving up exactly what you’d expect; Greek-style pizza, subs, gyros. If it’s comfort food you’re looking for -- nothing high-end or ritzy -- then Dimitrio’s is worth a shot. Located very close to the Cambridge Rindge and Latin School on Broadway, Angelo’s is always packed with high-school students. And it’s clear that this place is for the kids -- the food appeals to the high-school crowd, especially with its super-low prices. A small cheese pizza is less than $6. Its subs are equally cheap and delicious; a small Italian sub will cost $5. 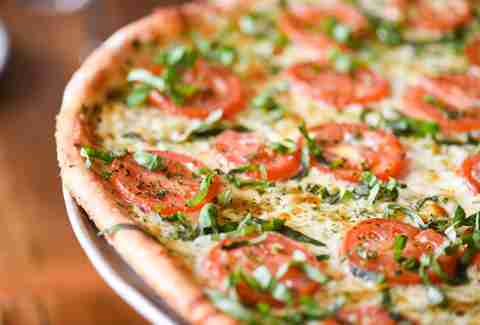 Grab a slice of classic, Greek-style pizza at The Half Shell; it’s got the fluffy crust and gooey cheese you’d expect. Though it’s a pizza shop through and through, its other food is popular with Porter Square residents. Salads, sandwiches, gyros, and pasta -- The Half Shell has it all. The spot isn’t glamorous, but that’s what gives it its charm. There’s a few seats, if you’re interested in dining it, but we’d wager that the majority of its business is takeout and delivery. Harvard House of Pizza, somewhat ironically, is not located in Harvard Square -- it’s in Porter. And it’s standard, which isn’t bad. You’ll get a good-sized pizza for relatively cheap, and the shop’s open late into the night, making it popular with the Lesley and Harvard students in the area. Pick-up, delivery, and takeout are available. If you’re a student stuck studying without a break and looking for a piece of pizza that won’t necessarily surprise you but totally fits the late-night pizza bill, this is the spot. Harvard House of Pizza is the shop that serves the perfectly greasy slice of pizza you want at 1am. In 2015, The Upper Crust Pizzeria opened in the old Stone Hearth Pizza building. The Upper Crust is a local chain, with storefronts all over the Boston area, though the first location popped up in Beacon Hill. Since then, the shop’s been serving up super-thin-crust with a variety of inventive toppings, like the State House, which comes topped with hamburger, pepperoni, and Italian sausage. Those craving more veggies will want to opt for Geppetto’s Roasted Veggie, which combines mozzarella cheese with roasted eggplant, zucchini, and squash. Single slices are available, too. Usually, you’ll find four options -- cheese, pepperoni, and two rotating options. The Upper Crust’s slice and salad deal, which pairs any salad with any slice, is a nice lunch option for under 10 bucks. Za is for those of you looking for fancy, artisanal pizza. This is the kind of place where you can also get charcuterie, cheese, and wine. Despite the relatively high-brow food, it’s a pretty casual atmosphere -- a good lunch spot for those working in the Kendall Square area. 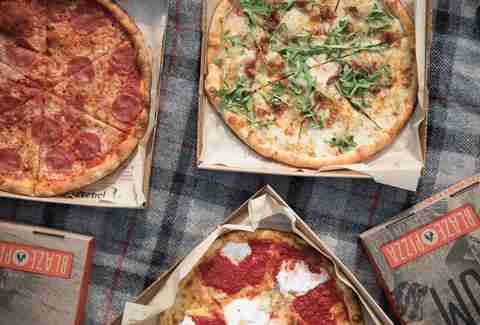 Ten-inch pizzas -- so more or less personal pies -- use local, organic ingredients. 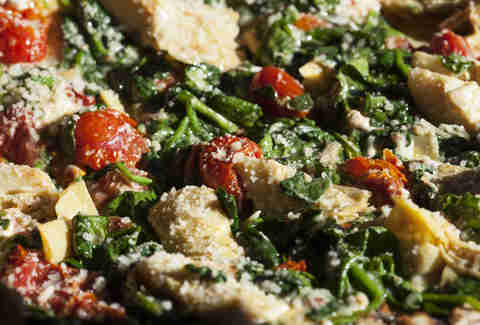 Because of that, the pizzas and salads on the menu change as local ingredients come and go. That’s certainly a plus; everything at Za is fresh. 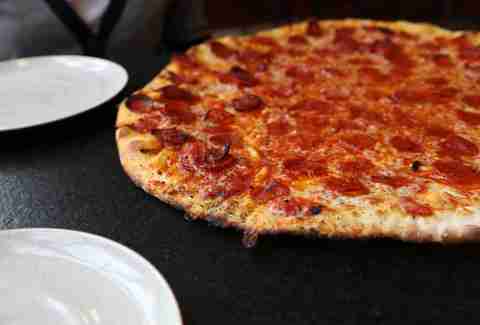 Newtowne Grill is a dive bar that sells pizza -- and good pizza at that. It's open until at least 1am, and you can get a pitcher of beer and a large cheese pizza for 12 bucks here. Not bad, eh? Add on Newtowne Grill’s $6.50 shot-and-a-beer special, and you’ve got yourself a good night -- which makes it especially relevant to note that this pizza spot is just down the road from the Porter Square T stop. The menu at Newtowne Grill isn’t massive, but that’s not really what matters here. Regardless of what you get, you’re likely to have a good time. Plus, there’s a jukebox, trivia, and sports, too. Blaze Fast-Fire’d Pizza is a chain, but don’t let that muddy your feelings on it. It’s good. And fast. You create your perfect pizza step by step, moving down a line filled with different options for sauce, cheese, and toppings… basically, it’s Chipotle for pizza. Custom pizzas -- or classic combinations, if you prefer -- are thrown into a super-hot oven for just over two minutes. That’s it! It’s done. A decent-sized personal pizza, six slices in total, will set you back around eight bucks. There’s no shortage of thin crust in New England, let alone Cambridge. 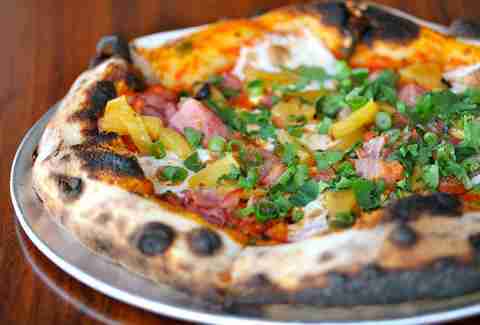 But Cambridge, 1. stands out by charcoal-grilling its super-thin-crust pizza. We obviously -- obviously -- recommend Cambridge, 1.’s fresh lobster and corn pizza because it’s amazing, but you can also lighten things up with a pie topped with baby arugula and fontina cheese. Cambridge, 1. bills itself as a Harvard Square hotspot serving "adult-like pizzas," and that’s clear from the menu. If you’re looking for a classic New York-style slice, you won’t find it here. And it’s not cheap -- that lobster pizza? It costs $32 for a whole pie. In general, a whole pizza costs around $19-32, and half-sizes are around $11-20. Beauty’s Pizza closed shop almost two years ago due to a fire in the building it was located in. In September, however, the beloved pizza store reopened in the former Pizza Pie-er location in Inman Square. Cambridge customers who don’t feel like heading outside their home for pizza are in luck -- Beauty’s Pizza delivers, and offers a discount for those who order online. So really, the more you spend, the more you save. Beauty’s won’t break the bank, either. An extra-large pizza is less than $20. It’s a great place to head to if you’re looking to feed a lot of people on the cheap, though you’ll get a satisfying lunch for one for well under $10. If Area Four is good enough for President Obama, it’s good enough for us. 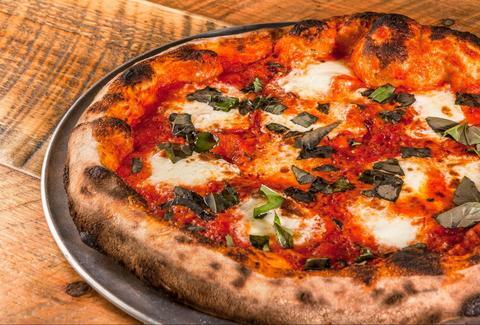 Area Four keeps its seats filled with its famously crispy, wood-fired crust. Beginning with a starter that’s more than 10 years old, Area Four’s dough is fermented for 30 hours or more, then topped with hand-pulled mozzarella. That is, if you want mozzarella: Area Four’s signature mozzarella tops most of its pies, but there are a couple other options -- including its ridiculously tasty clams & bacon pizza -- that opt out of mozzarella for a finish of nutty pecorino. This spot isn’t just for dinner, either. Area Four also offers up more traditional brunch fare, like breakfast sandwiches and pastries, but you’ll definitely want to try the breakfast pizza, combining cheddar cheese, potato, eggs, and bacon. 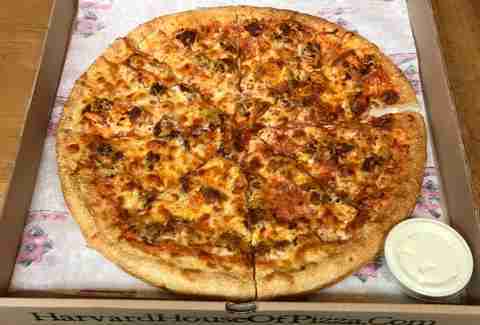 An offshoot of Inman Square’s All Star Sandwich Bar, All Star Pizza Bar offers up massive slices of thin-crust pizza. The shop serves four options for slices on a daily basis -- you’re likely to find cheese and pepperoni, with one "funky" option, like barbecue duck, and one separate vegetarian option. All Star Pizza Bar is a popular spot for vegans and vegetarians. Daiya mozzarella cheese tops many of its vegan pizzas, with options that include almond milk bechamel sauce, meat substitutes, and plenty of vegetables. All-Star Pizza Bar is certainly a reprieve from what could otherwise be considered a pizza drought in the immediate area (Inman Square isn’t exactly known as a pizza haven); however, it’s got some competition now that Beauty’s Pizza has moved into the Square. A small spot with a big following, Emma's Pizza is not only great -- it offers over two dozen gourmet pies -- but has a really warm, family-style atmosphere, too. Pizza paddles adorn the walls, highlighting artwork from the Emma’s community, from customers to employees. Favorites include Emma’s "The Yaahd," which piles cherry tomatoes, basil, garlic, sauce, and mozzarella on the shop’s traditional thin crust, and the Red Line, a spicy pie topped with hot sausage and roasted tomatoes. The entire menu is inspired by Cambridge itself, with pizzas named after other favorites: The Cantab, T.T. the Bear’s, and the Middle East. 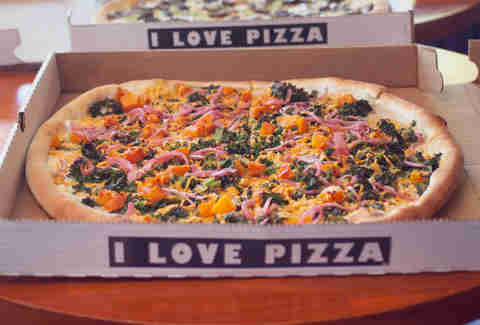 OTTO is a small Maine-based chain of pizza shops, one of which is located right in Harvard Square. The store is tiny -- no seats inside -- and really popular, so there’s likely to be a line out the door. A few tables are set up on the sidewalk if the weather is nice, though you’re more likely to want to take your slice to go. A rotating selection of gourmet pies are available; OTTO sells pizza by the slice, but also serves up whole pies for delivery and takeout. Some of the more notable options include Sriracha chicken and avocado; mashed potato, bacon, and scallion; pulled pork and mango; and roasted pineapple, bacon, and red pepper flake. OTTO typically has a few less adventurous options, like cheese and pepperoni, on hand as well. Thin crust is its specialty, and it’s one of the reasons it stands out from many of the other pizza shops in Cambridge, too. 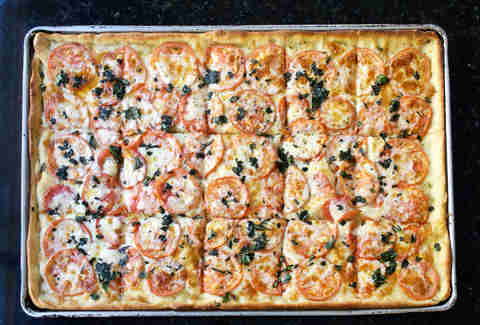 Despite being very thin, Otto’s crust stands up to the unique topping combinations, both in terms of structure and adding a fine, delicate flavor. If you like a crisp crust with a chewy top, this is the spot for you. This neighborhood is hiding one of the Boston area’s best pizza shops: Armando’s. The shop’s founder, Armando Paolo, moved to America from Italy in the ‘50s, and opened the beloved local business in 1971. Sadly, Armando passed away earlier this fall, but his wonderful legacy lives on through his shop, which is operated by his daughter and grandson. This is one of the few restaurants in Cambridge serving Sicilian deep-dish pizza by the tray and half-tray. Plus, a single slice of pizza will set you back less than $3, making this endearing spot a favorite with Cambridge’s college students. Pinocchio’s -- affectionately called 'Noch’s -- is beloved by Harvard students and Cambridge locals alike. 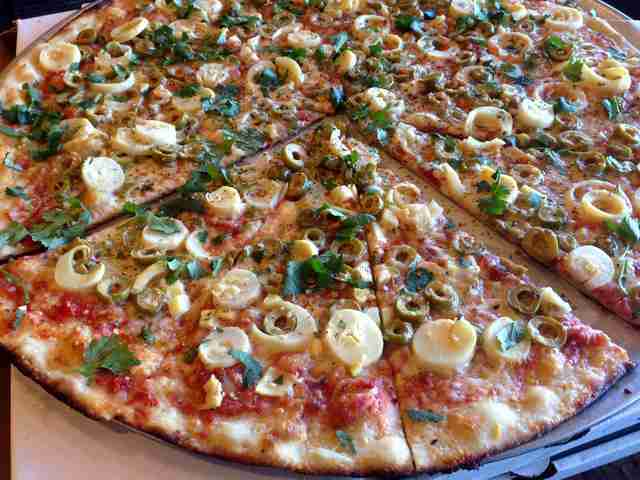 While the thin-crust here is solidly good, 'Noch’s Sicilian slices are what customers keep coming back for. In a region dominated by skinnier crusts, it’s rare to find a thick version, let alone one this good. Noch’s is open until to 1am on most nights, and 2:30 on the weekends -- and it’s always packed with students. This specialty pizza shop on Brattle St sources all its ingredients from local farms, even making its dough with flour from Four Star Farms in Massachusetts and King Arthur in Vermont. The Just Crust’s mission extends beyond the culinary, too; co-owner Shannon Liss-Riordan is a lawyer known for her work defending wait staff and other service workers, so it's no surprise that The Just Crust employees earn nearly double minimum wage and a share of the profits. Fortunately for all involved, The Just Crust also serves sincerely great pizza. The space is a little on the small side, so you may want to opt for delivery, and the pizza here isn’t cheap, but it’s genuinely worth it. Sign up here for our daily Boston email and be the first to get all the food/drink/fun the Hub has to offer. Nicole Carpenter is a freelance writer who really, really likes pizza. Follow her on Twitter @sweetpotatoes.